A fine set of six Neoclassical chairs. 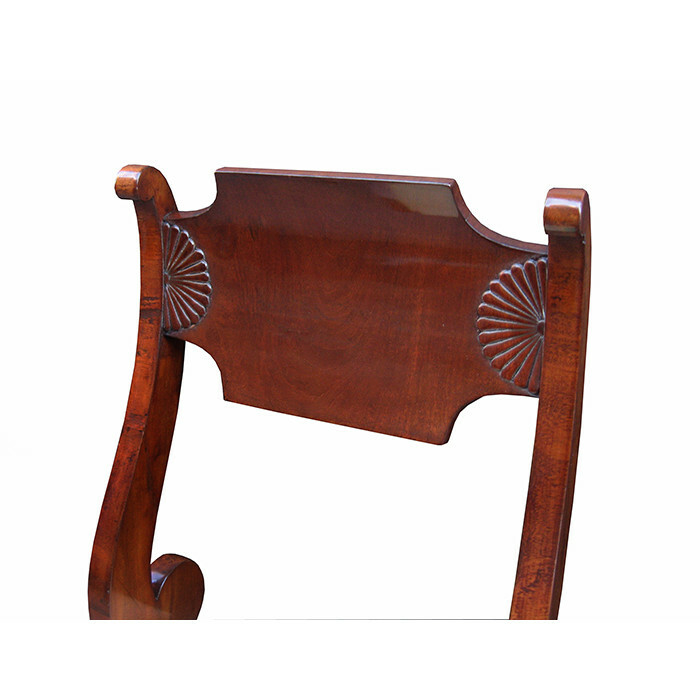 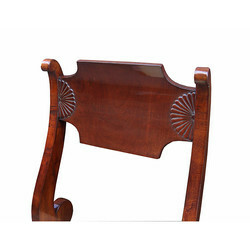 Mahogany with carved details. 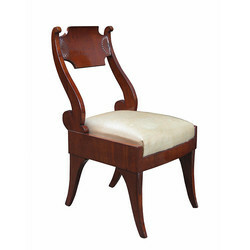 Dimensions: H:34 W:18½ D:21 Seat H:18 Inches.